Petrified wood is powerful in removing obstacles. Use it to assist in reaching goals that you are having trouble with or to smooth a path for any endeavor that you anticipate will be ridden with difficult barriers. Petrified Wood helps restore physical energy and is good in relieving hip and back problems. The following pieces of petrified wood are also agatized, so you may include agate properties. An exquisite brecciated agate found in only two places in the world: Namibia and China. The swirled colors and patterns are breathtakingly beautiful and no two are the same. Pietersite helps one see beyond the immediate to beauty in the All. It enhances courage, tenacity, and ability to maintain or create what is yours. Spiritually and psychically, pietersite helps in working with angels, experiencing visions, and precognition, relating to feminine or goddess energy, as well as astral and dimensional travel. 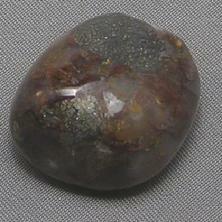 Emotionally, pietersite helps to relax and release deep emotions in a calmer way. Physically, pietersite balances body fluids, improves nutrition, helps with gastrointestinal functions, and helps the endocrine glands, balances female homones, alleviates PMS and menopause symptoms. Pietersite is also excellent for improving memory. The photos do not do the Pietersite justice. Every piece is extremely beautiful! In metaphysical terms Prehnite is thought to be a protective stone. It strengthens the life force, aids in regeneration while stimulating energy flow and information. It facilitates spiritual communication through meditation, is considered a powerful dream stone, and is used to encourage lucid dreaming. Quartz enhances energy by absorbing, storing, amplifying, balancing, focusing, and transmitting. It channels universal energy. Quartz also enhances thoughts, as they are a form of energy. Because it directs and amplifies energy, it is extremely beneficial for manifesting, healing, meditation, protection, and channeling. It is also beneficial for storing and retrieving information of all types, as information is a form of energy pattern also. This makes quartz particularly good for programming. Due to its ability to balance, quartz is excellent for harmonizing and balancing one's environment. Quartz is also good for energizing other crystals. Quartz is a stone of clarity which dispels negativity and clears away negative energy. It can be used to purify and clarify on the spiritual, mental, and physical planes. It is also powerfully protective. It enhances spiritual growth, spirituality, and wisdom. Because it clarifies though processes and emotions it increases inspiration and creativity. It can also help particularly with concentration, studying, and retaining what one learns. Quartz is also a stone of harmony because it balances energies, and is even helpful in romantic relationships. Psychically, quartz is a powerful stone. It is used for protection because it protects from negative energy. Quartz is very useful on the third eye chakra for clarity of psychic vision, and can be used to communicate with spirits and other worlds. Quartz is a stone that can access ancient wisdom and bring it into the present. It is a very good stone for astral travel, manifestation, scrying, channeling, dream recall and dream work. 1 x 7/8 x 1/2"
1 1/4 x 1 1/8 x 1/4"
Rutilated quartz is a type of quartz with needlelike rutile (a titanium dioxide mineral), embedded in it. The rutile needles can be reddish, which is what rutile means in Latin, or they may be golden, silvery, or on very rare occasions, dark green or black. Rutilated quartz is reputed to be an energizing stone that helps get energy moving on all levels. Intuitive sources say that it assists with mental focus. It is also said to attract love and stabilize relationships. It is said to be particularly effective for getting things moving energetically and can help slowed chakras return to normal spin and balance. Emotionally, rutilated quartz is said to be very helpful in uncovering the causes of mental issues and hang-ups. It reputedly diminishes fears. It is said that it can also ease loneliness and relieve guilt, thereby bringing happiness. It is used metaphysically to help one get out of a rut with their life as well as for stabilizing emotionals and mental processes, and clarifying thought patterns and emotional reactions. It increases one's self-reliance and ability to find one's own way. Physically, rutilated quartz is said to be beneficial for food disorders, the immune system, regeneration of tissue, fatigue, depression, respiratory illness, stability of all physical systems and general health, and absorption of nutrients from food. It is also reputed to be helpful for getting energy moving in meridians and areas where the physical energy is sluggish. Rutiliated quartz is a mystical crystal "diagnostic tool" which can help discover the true cause of an ailment. Rutilated quartz is associated with the solar plexus chakra, and is sometimes considered a link between the root and crown chakras. Bulk Rutilated Quartz: sizes range from 1/2 to 1" and your stone will be selected from the stones you see in the photo above.